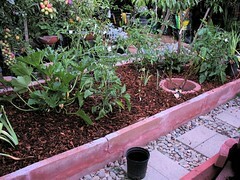 Today I replaced the newspaper mulch in one of my veggie beds with ground bark. I like the results a lot better. I was thinking of leaving the newspaper under then bark, but water didn’t seem to go through the newspaper that well. 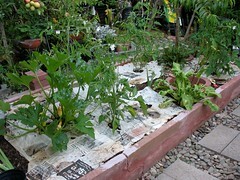 This entry was posted in Uncategorized and tagged bark, mulch, newspaper. Bookmark the permalink.